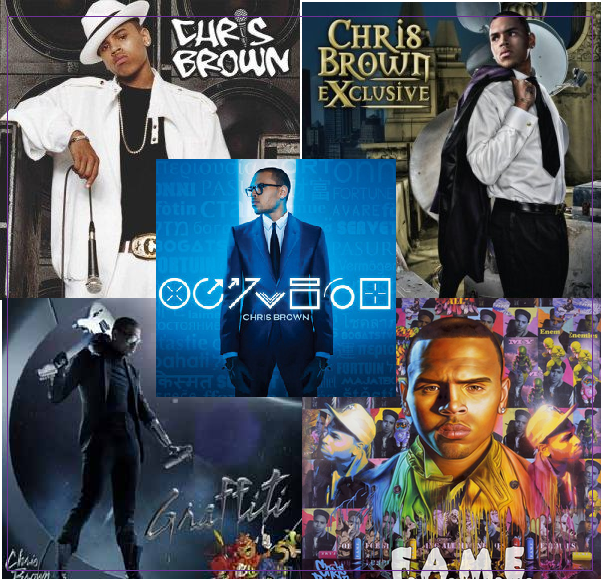 Who wasn't a Chris Brown fan!? When this little light skinned boy popped up on the scene singing AND dancing extremely well, all heads turned. I remember many times during his career- my girls and I paused to ask the simple question we knew the answer to- "How old is he again?" Ha! The truth is he was always too young for any of us to crush on, though that didn't stop a few girls I know from doing it. When his first hit single Run It ran to the no. 1 spot on the charts, I knew there would be many more ladies doing so.Now 7 yrs. and 5 albums later Chris is still a force to be reckoned with in the industry. He recently added "Grammy Award Winning" with his hit album FAME, and just a few months ago, he released what is (in my opinion) his best work so far, the album FORTUNE. Truth is-you are still likely to find a woman drooling over him somewhere, and still less likely to find an artist out as multi-talented as he is. He looks a little different now, but I still remember the round faced little boy who was always smiling just like I saw him yesterday. His first impression on the world was everything! We didn't know it then, but he'd soon be considered: the closest thing to Michael Jackson that our generation has ever seen, one of the most respected songwriters in the game, actor, a brilliant performer, video director, artist, and the list goes on. Now, I catch A LOT of smack for supporting/blogging anything Chris Brown, but that only comes from people who are stuck in the past. No matter how many mistakes you make in life, they cant erase the God given good in you. So.. I'll just prepare for the emails/comments today! Im ok with it! It's been a long and rocky journey for Chris and his fans, but they are still here and in tact. With the prayers of his Mom- Joyce Hawkins and the support of his fans, Im certain we'll be here again... 7 yrs. from now saying Happy Anniversary to such a brilliant performer. I love reading your blog but yes I do wish you wouldnt support a woman beater. 'As multi talented as he' is kayki? Thats a stretch. Not a fan of this guy.